Nero TuneItUp PRO is available as a yearly subscription with automatic renewal. This prevents accidental interruption in the use of the purchased software and ensures that your Nero TuneItUp PRO is always active and up-to-date. You can deactivate the automatic renewal option at any time by logging into your myAccount after purchase or by following the instructions and links in the notification e-mails. Optimizing and accelerating like a pro: Nero TuneItUp makes your PC faster, updates your drivers, and you will no longer have problems with Internet that is too slow. 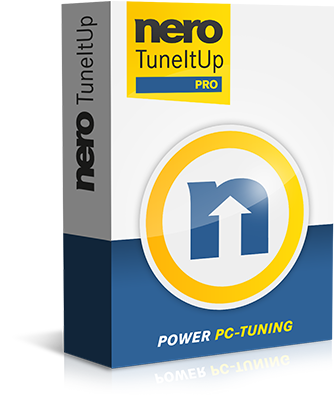 Nero TuneItUp PRO puts you back in complete control of your PC&apos;s performance. You decide whether to solve problems individually, or repair them all at once. 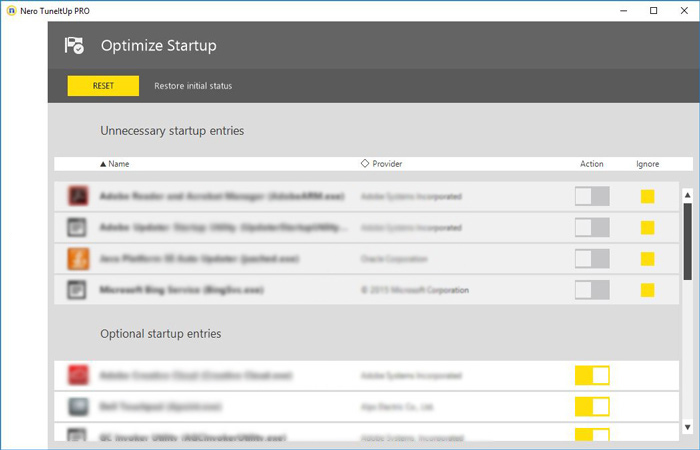 The automatic monitoring feature works in the background and will notify you the moment your PC starts running slower again, helping you keep your PC in top shape at all times. With the high-speed mode, your games and programs will run even faster. With Nero TuneItUp PRO, you can save energy and in doing so extend the battery life of your laptop. Surf the web even faster. Nero TuneItUp PRO keeps your drivers and programs up to date at all time. Regardless of your internet connection, the wrong browser configuration can seriously slow down your surfing experience. 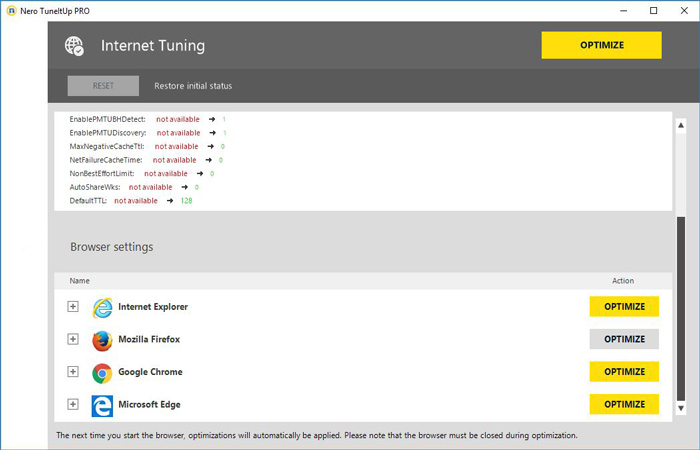 Nero TuneItUp PRO analyses your Internet settings and optimizes them with one click! During system start Windows loads unnecessary background programs and services that are normally not needed. Nero TuneItUp PRO optimizes the configuration. 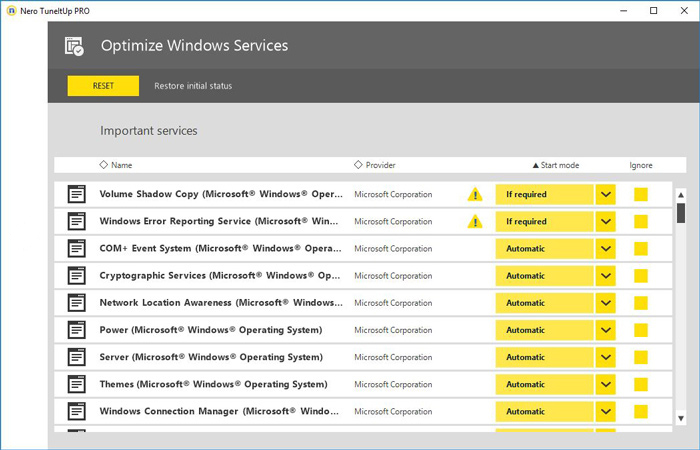 Certain Windows settings can negatively affect your PC&apos;s performance. 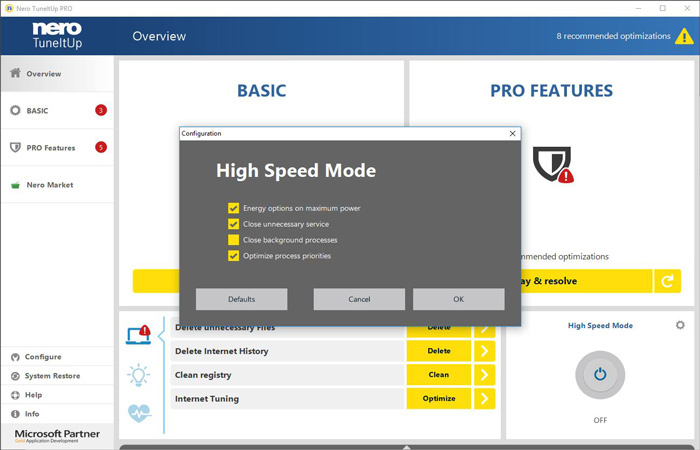 Nero TuneItUp PRO can automatically optimise your settings and lets you quickly customize your Windows. Outdated drivers have a negative impact on the security, performance and stability of your PC. 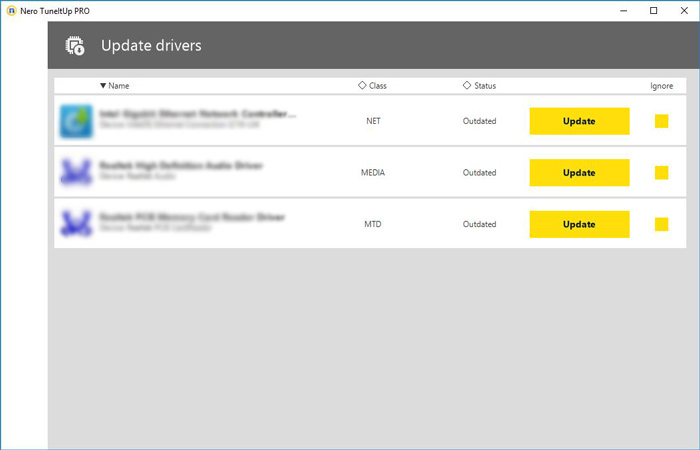 Nero TuneItUp PRO searches its large database for driver updates and installs them when necessary. Are you sure that the programs on your PC are up to date? 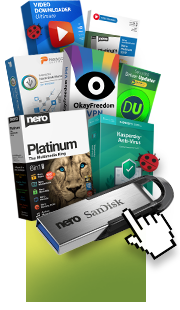 Nero TuneItUp PRO shows you all available updates and lets you download and install them. Keeping your drivers and programs up to date helps you close dangerous security gaps and lets you benefit from the latest functions and features. 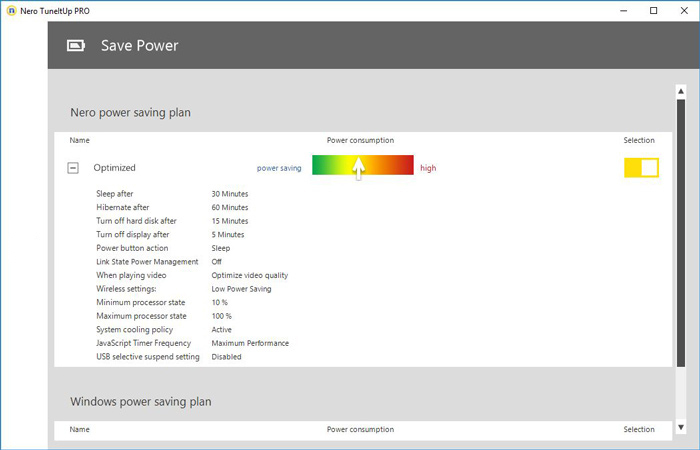 Save energy, and battery life on your laptop, with just one click! Nero TuneItUp PRO offers the best compromise between performance and energy efficiency.